There are two main types of sleep apnea that both relate to snoring: central sleep apnea and obstructive sleep apnea. 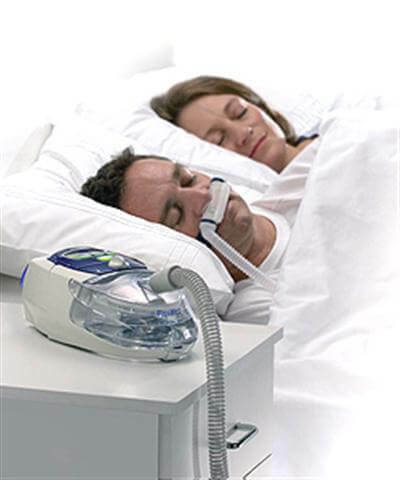 Both forms of sleep apnea deal with limiting the amount of oxygen to the body and brain. Both also have the symptom of snoring, however, the reason your airway becomes obstructed is actually completely different in these types of sleep apnea. Central sleep apnea (CSA) is the lesser common form of sleep apnea. 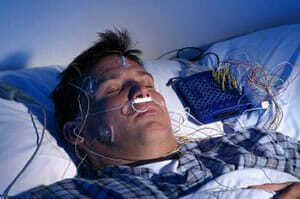 This type of sleep apnea is actually controlled by the brain stem, which surprisingly controls your breathing. 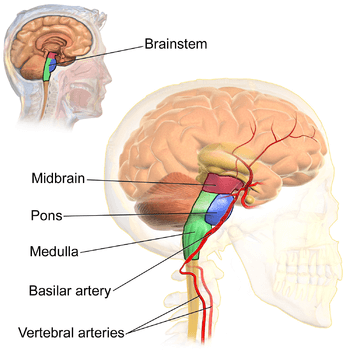 The brain stem monitors how much oxygen and carbon dioxide are present in the bloodstream. When low amounts of oxygen are present, the brain signals the respiratory system to inhale a deep breath to continue the flow of oxygen in the body. Also inversely, when high amounts of carbon dioxide are present, the respiratory system is triggered to exhale in order to rid the carbon dioxide from the body. 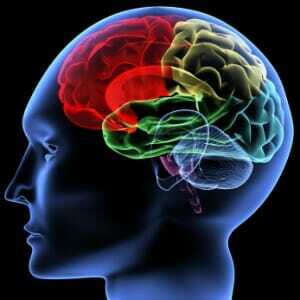 The brain is very sensitive to these oxygen levels, thus maintaining full control of the body’s breathing patterns. If the brain stem is not functioning correctly, thus poorly managing the sensitivity of oxygen in the blood, the signals sent to the respiratory system may not be as strong, resulting in shorter unfulfilling breaths, or no breaths at all. The absence of these signals sent from the brain is very dangerous and needs to be addressed immediately. Typically a CPAP machine, the most common form of sleep apnea treatment currently on the market, will not completely treat central sleep apnea and usually, other treatments such as prescription drugs or surgeries are necessary since the underlying cause is linked to brain function. Unlike obstructive sleep apnea (OSA), central sleep apnea is typically not linked to obesity. Since central sleep apnea is directly caused by a miscommunication in the brain, weight does not play a role in this type of sleep apnea. It could be linked to obstructive sleep apnea, however. As discussed above, the main cause of CSA is a misfire in communication from the brain stem to the respiratory system. There is another cause why central sleep apnea is on the rise and may just relate to the growing epidemic of opiate use in the United States. According to the United States National Library of Medicine, 8 clinical studies were done in order to relate opioid use to central sleep apnea. The results of the study showed that 24% of chronic opioid users have central sleep apnea. It was also found that most opioid users had a very low body mass index. If you are prescribed opioids, it’s possible that you could develop central sleep apnea since opioids target receptors in the brain. If you endure extreme pain, opioids are generally described to block pain and generally calm the body. This calming can actually overact, stopping the brain stem from sensing the amount of oxygen in the blood and not triggering your respiratory system to function. 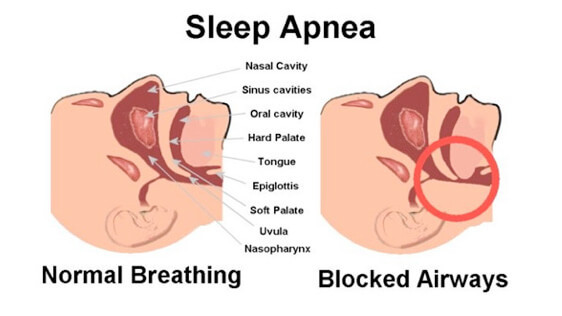 Unlike obstructive sleep apnea, snoring isn’t as prevalent in CSA because the brain is not signaling breathing from occurring, as opposed to a physical obstruction in airflow like in OSA. Obstructive sleep apnea is the most common form of sleep apnea. Obstructive sleep apnea is typically first noticed by your bed partner because snoring is the most common and disruptive symptom. Snoring occurs when there is a blockage or obstruction in your airway that prevents the flow of oxygen down the pharynx. The obstruction could be your tongue blocking the airway, the inflammation of mouth and throat tissues from extra weight or inflammation, or nasal mucous buildup due to respiratory issues like a sinus infection or allergies. Whatever is causing the obstruction, it doesn’t completely block the airway, or you would be dead. Rather, the air just finds another way to the lungs and typically flows around the obstruction which creates a physical vibration against fatty throat tissues. This physical vibration creates the sound of snoring. OSA is commonly recognized by a bed partner because they will hear the sound of snoring, and then there will be silence for several seconds. It can be frightening for the bed partner, but also the snorer because you actually stop breathing for a short period of time and then awake suddenly while choking or trying to catch your breath. Sometimes you can wake yourself up from these episodes and other times you won’t even know that you’re doing it. This is why the bed partner is usually the one to mention it to the snorer because it is disruptive but also very concerning. This is the most prevalent and noticeable symptom of OSA. The fact that you stop and start breathing repeatedly throughout the night is very dangerous because there is a limited amount of airflow going into the body. The body survives off of oxygen and by limiting it, serious problems can occur. Another noticeable symptom of OSA is profuse sweating throughout the night. If you find yourself waking in the middle of the night and you are drenched in sweat, this may be a sign that you are suffering from sleep apnea. Another common symptom is having problems sleeping and being restless throughout the night. If you wake up in the morning with a headache, this can be another indicator of OSA. Obstructive sleep apnea can be diagnosed in several different ways, but primarily by conducting a sleep study, called a polysomnogram, or by a portable machine that is taken home with you and administered by you before you go to sleep. The most common way to diagnose obstructive sleep apnea in someone is by performing a polysomnogram or sleep study. Electric currents are recorded, known as electroencephalography, and monitor your sleeping patterns. The sleep study is usually administered overnight in a sleep lab and records the different states of NREM and REM, nonrapid eye movement, and rapid eye movement respectively. The analysis of these sleeping stages, how long they occur, and the length of time between each, is used to diagnose whether or not you have OSA. In recent years, at home sleep study monitors, or a Home Sleep Test (HST) has been recommended by doctors so their patients can administer the recording of their sleeping habits in the comfort of their own home. The patient doesn’t actually see the data, however, they will set up a small monitor either strapped to them or next to their bed, with several electrodes that monitor your brain activity, respiratory performance, oxygen levels in the blood, heart rate and rhythm, and snoring. The monitor is then dropped off at the doctor’s office where a medical professional analyzes the data from the HST. Obstructive sleep apnea can be very dangerous if untreated. OSA is treated with a CPAP mask to ensure a steady flow of oxygen is being inhaled throughout the night. It’s the most effective and popular form of treatment at this time. If you think you suffer from OSA, you should consult your doctor immediately. As you can see, both forms of sleep apnea are very serious. They have different symptoms, side effects, and treatments. Keep your doctor in the loop with your sleeping patterns if you think you show symptoms of either type of apnea. There are treatments options available for sleep apnea that are both affordable and effective.